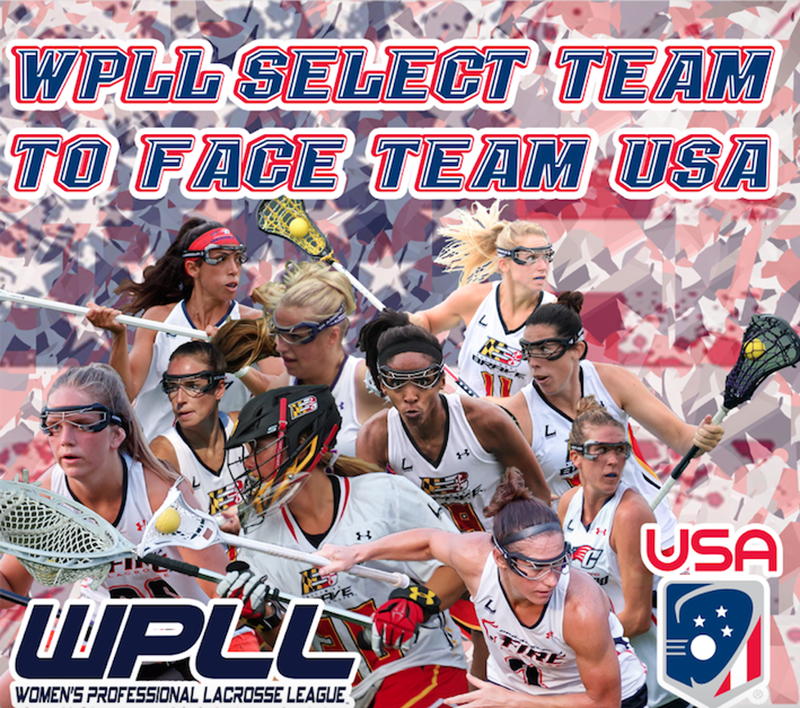 A select group of WPLL players including Dana Dobbie, Kelsea Donnelly, Brooke Griffin, Hannah Nielsen, and Taylor Thornton will have the opportunity to play against the U.S. Women’s National Team on November 17th. Taking place at President’s Cup in Lake Buena Vista, Fla., the WPLL Select Team will face off against a roster made up of the 25 players invited to the US Women’s National Team Winter Training Camp, which includes 15 active WPLL players. The U.S. Women’s National Team vs WPLL Select Team game will feature a fast-paced 6-on-6 version of the sport currently in development by the FIL. November 17th’s game will be played on a smaller field and will feature four 8-minute quarters, a 45-second shot clock and draws only at the start of quarters, along with several other rule modifications. The game will be held at President’s Cup, a signature event of the Intercollegiate Women’s Lacrosse Coaches Association (IWLCA), where more than 300 teams will be competing at the ESPN Wide World of Sports Complex from Nov. 16-18 in one of the sport’s biggest recruiting showcases. On Saturday, Nov. 17, the U.S. will play an intra-squad Blue-White exhibition under Federation of International Lacrosse (FIL) rules at 4:30pm ET, followed by a game against the WPLL Select Team at 7:30pm ET. The 12 player WPLL Select Team Roster represents some of the best players in the world including: Dana Dobbie, Kelsea Donnelly, Shelby Fredericks, Nicole Graziano, Brooke Griffin, Amanda Johansen, Maddy Lesher, Kara Mupo, Hannah Nielsen, Lydia Sutton, Taylor Thornton, and Taryn VanThof. All of the players have experience not only playing professionally, but also playing or coaching for their respective national team programs. Dobbie and Sutton have represented Canada, Nielsen plays for Australia, and Donnelly, Graziano, Griffin, Johansen, Lesher, Mupo, Thornton, and VanThof all have experience with the U.S. Women’s National Team. A dominant draw specialist, Fredericks was an evaluator at the 2018 Team USA U-19 tryout. The skill of players on both the WPLL Select Team and Team USA combined with the innovate rules guarantees an exciting, fast-paced game for all to enjoy.